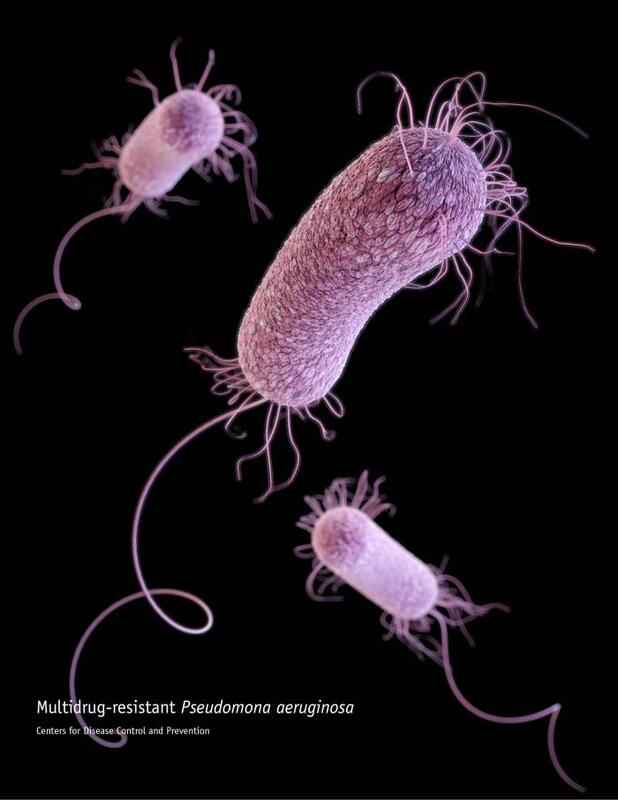 This illustration depicts a three-dimensional (3D) computer-generated image of three multidrug-resistant, Pseudomonas aeruginosa bacteria. The artistic recreation was based upon scanning electron microscopic (SEM) imagery. Note the presence of numbers of thin, diaphanous fimbriae emanating from the organisms’ cell wall, as well as a single, corkscrew-shaped flagellum, which provides the bacteria with a unipolar mode of motility.